Aransas NWR, Austwell, Texas: These palmettos and prickly pear cacti define just one of the many habitat types found on the 59,000-acre Aransas National Wildlife Refuge on the shore of San Antonio Bay. 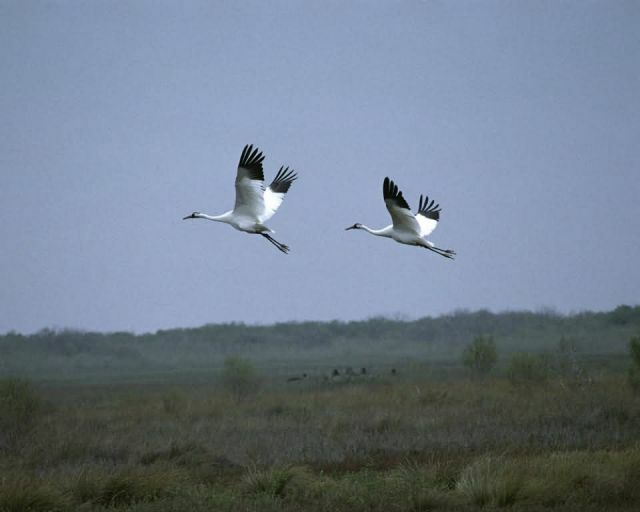 Best known for its large flock of wintering whooping cranes, Aransas is also home to such diverse species as alligators, javelinas, blue crabs, bobcats, deer, giant swallowtail butterflies, and more than 390 bird species. Nine hiking trails, an observation tower, and a 16-mile auto tour loop provide a variety of experiences for visitors.